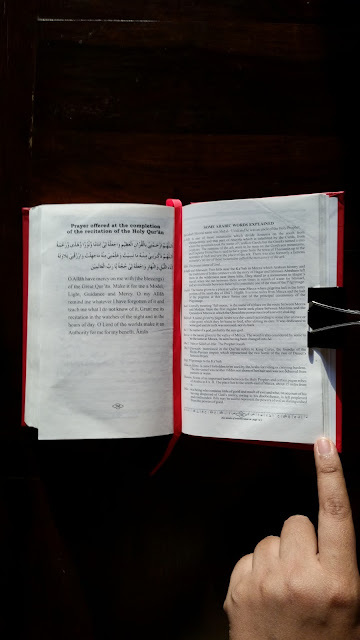 Masha Allah, Alhamdulillah, I finished reciting the Holy Qur'an today. I am not a fan of making things like these public, but if it inspires anyone to finish reciting the Holy Qur'an this Holy Month, then I am willing to take the chance. I was reminded of this beautiful poem by Khalil Gibran toda and felt it sums up the myriad of emotions I have been going through lately. Talha woke up for Suhoor today and Masha Allah it will be his first time fasting. He had some food and I made him drink couple of glasses of water. He was really sleepy but said Fajr prayers before going back to bed. Having him up with me for Suhoor brought a huge smile on my face. May Allah accept Talha's humble efforts. Ameen.